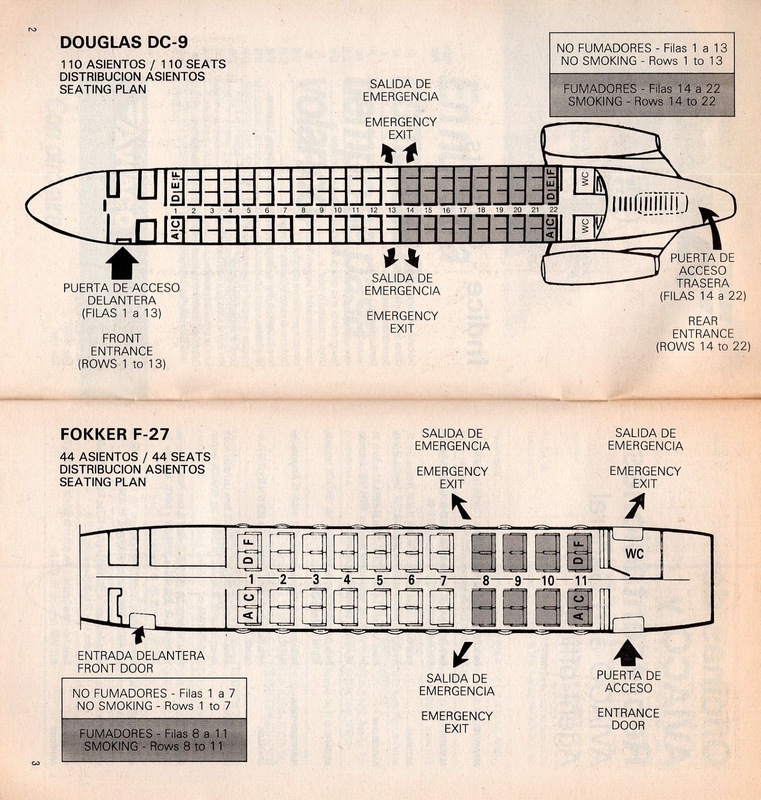 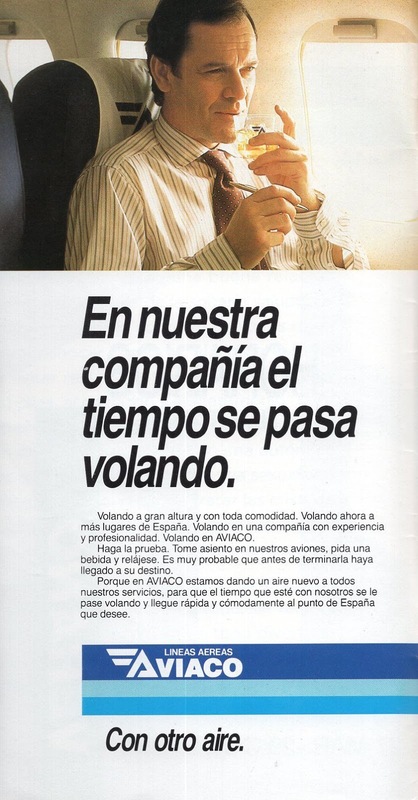 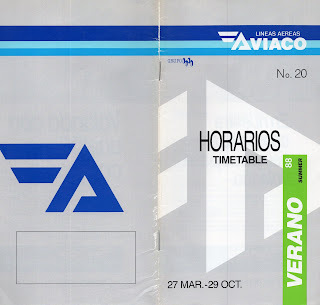 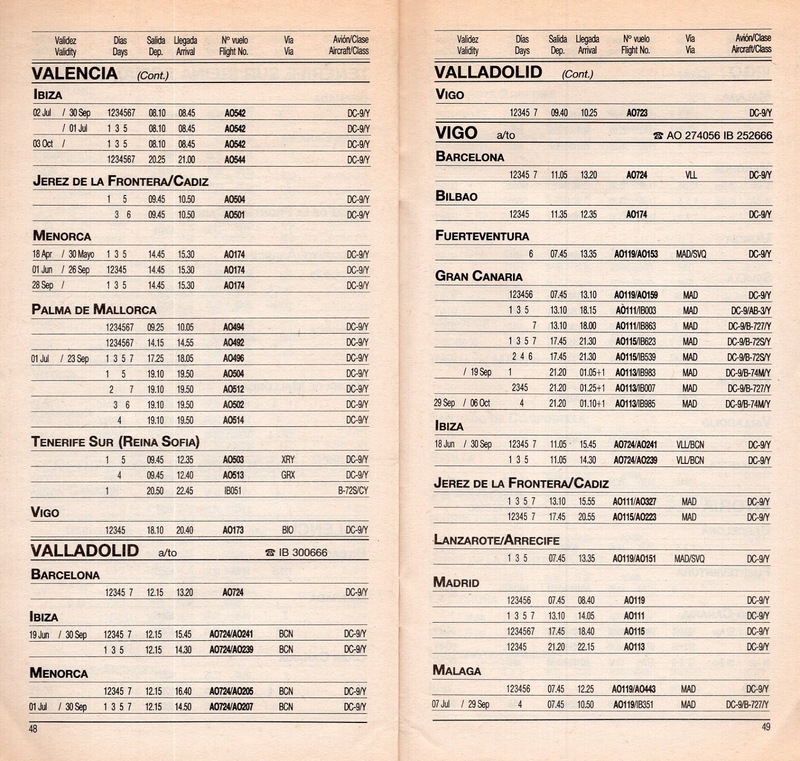 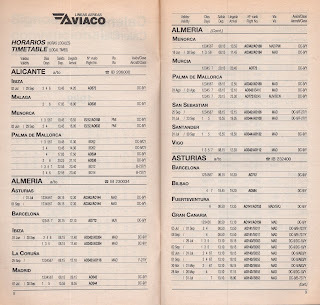 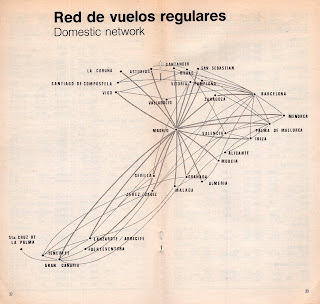 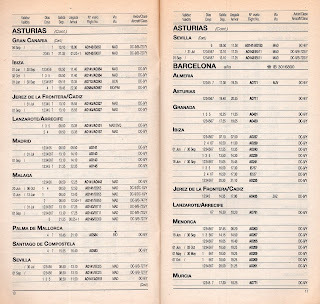 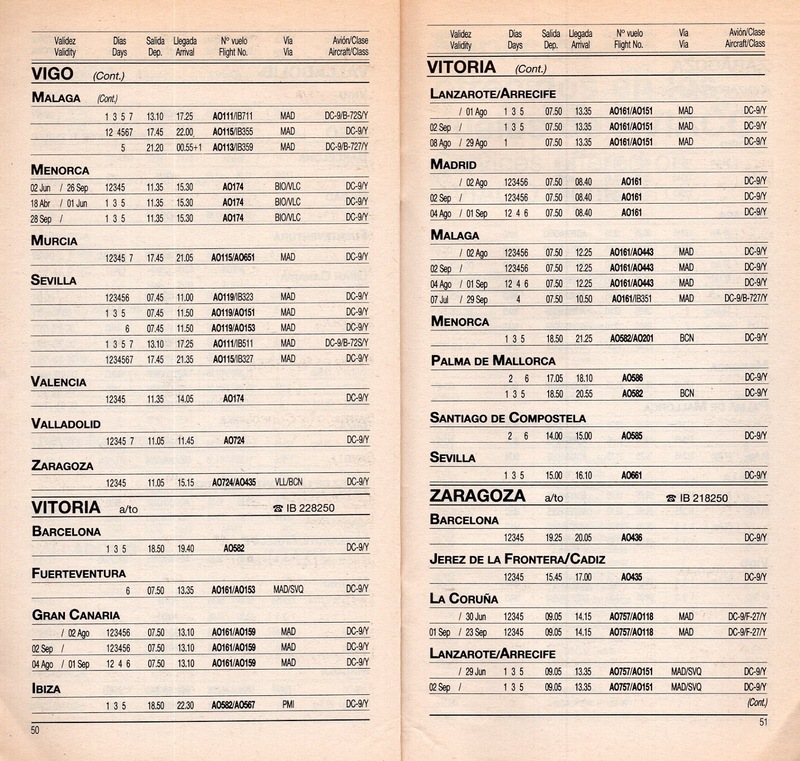 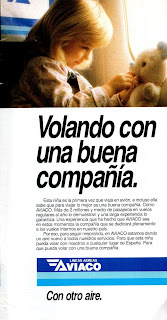 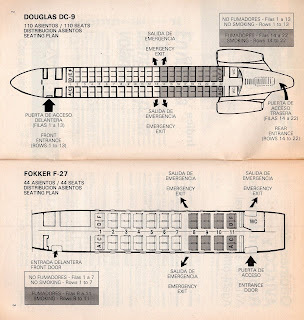 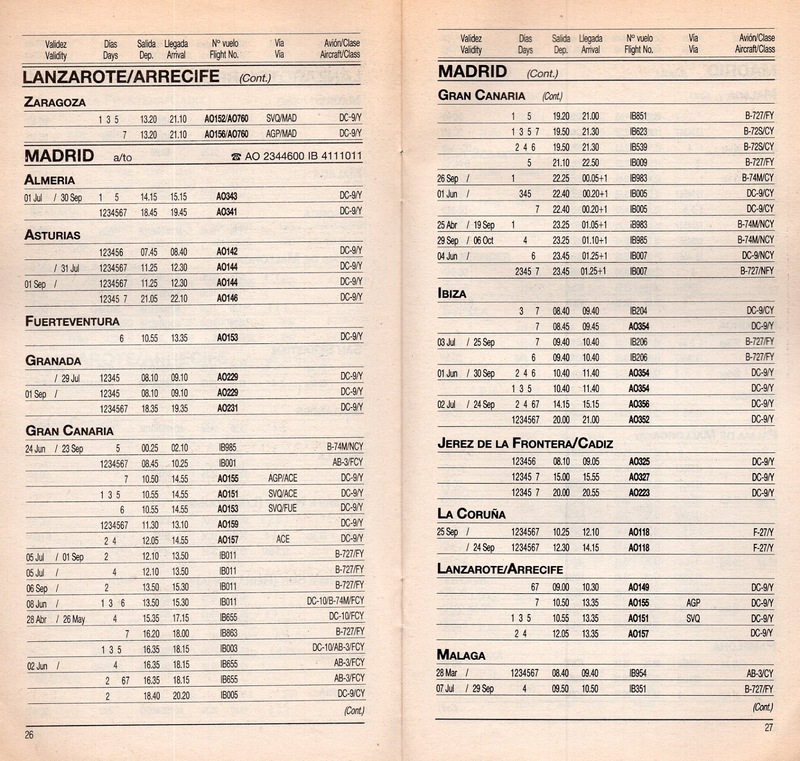 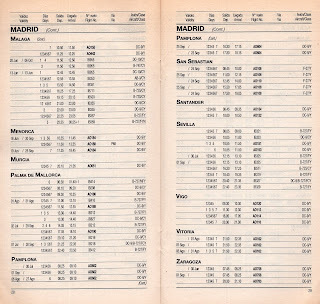 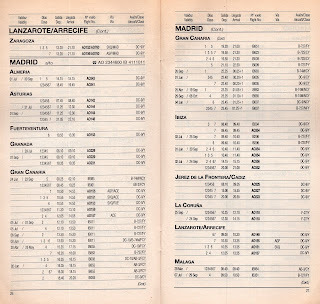 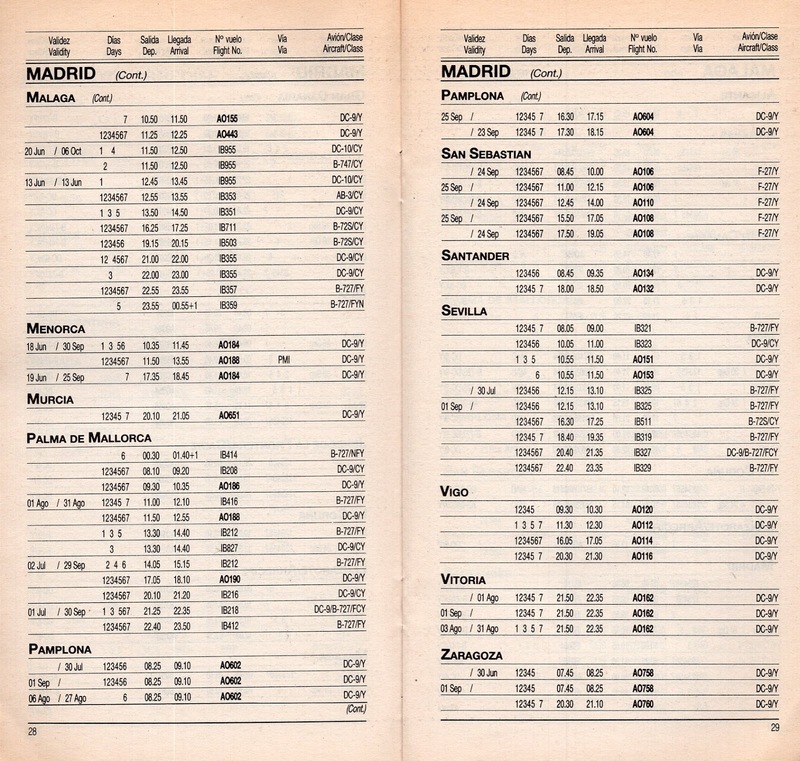 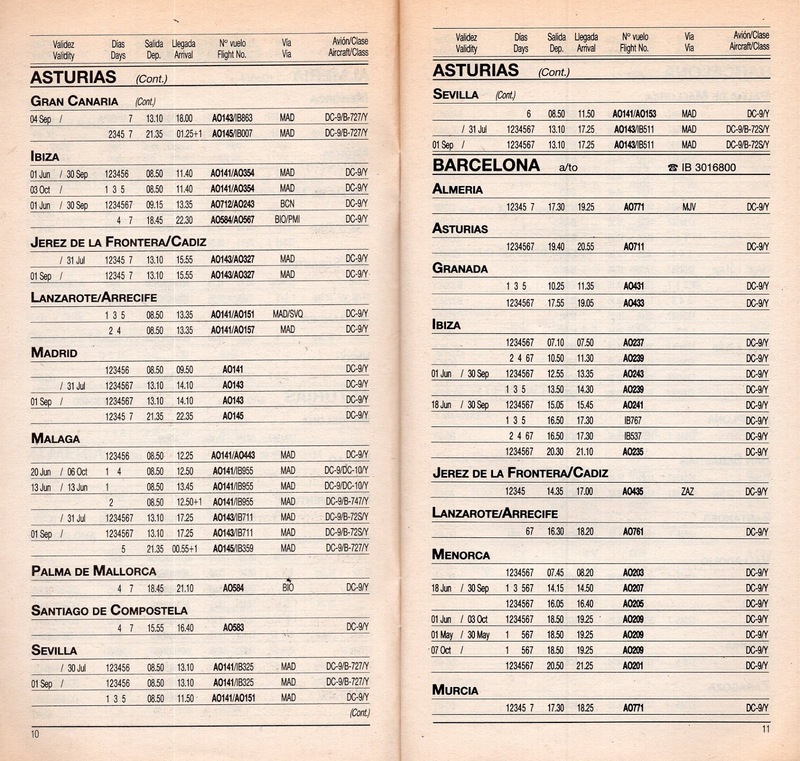 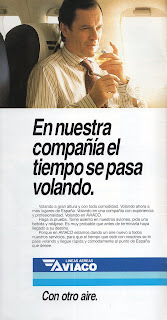 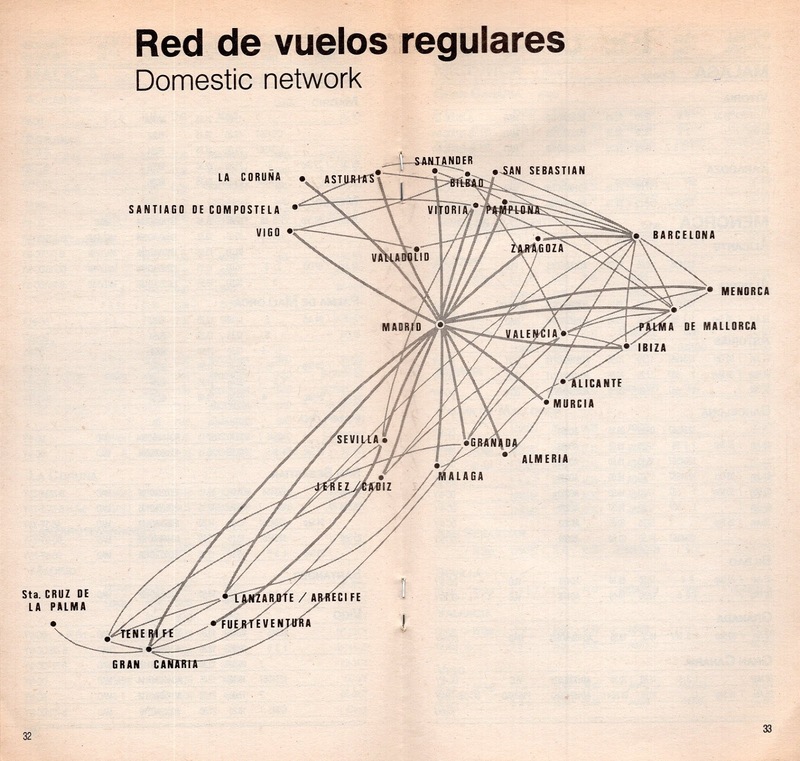 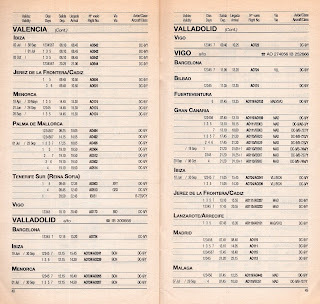 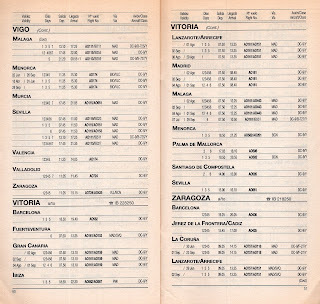 I had already posted some inner pages from this Aviaco timetable earlier in this blog. This was quite a while ago and they were published as a bonus track for another post. 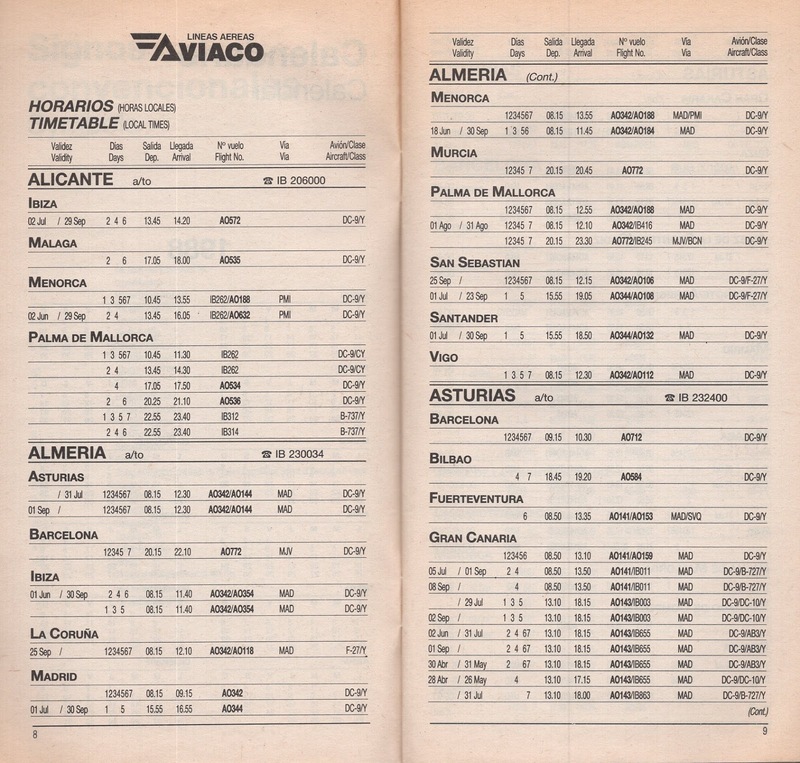 This time I am uploading the whole schedule; you will find a link to the PDF file with the complete scanned timetable below.